We turn back the clock to examine the late 80s cult classic Lost Angels starring King Ad Rock. Director Jordan Peele is opening up about the many interpretations behind the ending to his latest horror masterpiece Us. The new movie Nicole & O.J. will reexamine information from the infamous O.J. Simpson case to reveal the real killer behind the crime. Is the Steve Rogers and Tony Stark reunion actually in Avengers: Endgame? The Russo Brothers aren't revealing anything. 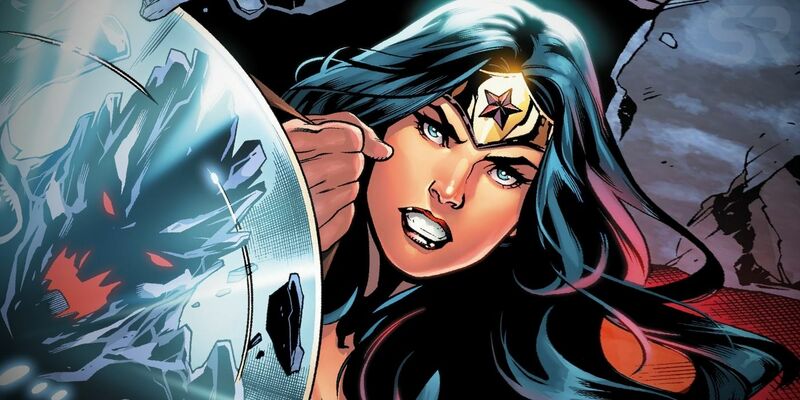 Wonder Woman's fans will tell you that no enemy is too big for her to handles. But when the opponent in question is the biggest Titan that the DC Universe has ever seen? 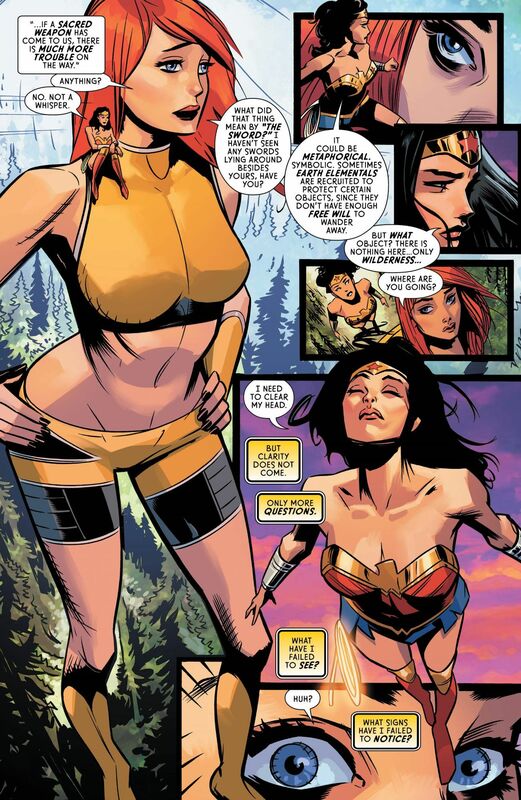 Diana is going to need some gigantic backup. Even in the realm of DC Comics, a mountain-sized, ancient being tends to stand out. 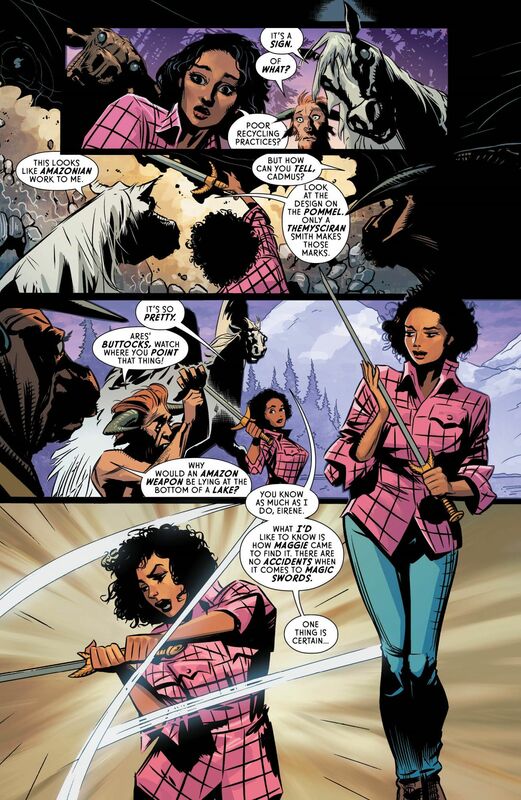 But such is the strange status quo, now that Themyscira, Mount Olympus, and every other part of the Greek Gods' realm has crashed down to Earth, turning DC's magical beings into refugees. Aphrodite, Ares, and other gods and goddesses are easy enough to deal with... but gigantic elemental colossi can't be talked down. 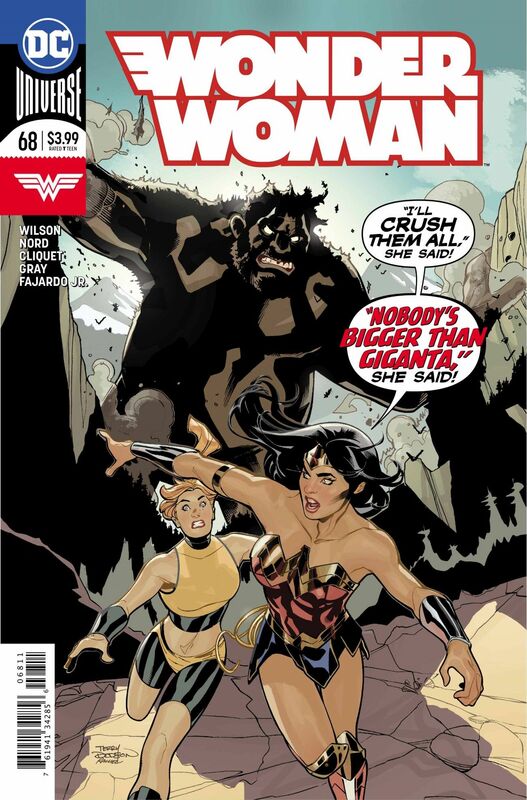 In our exclusive preview of Wonder Woman #68 Diana finally understands what the ongoing "Giants War" is building towards, but that won't make her next fight any easier. 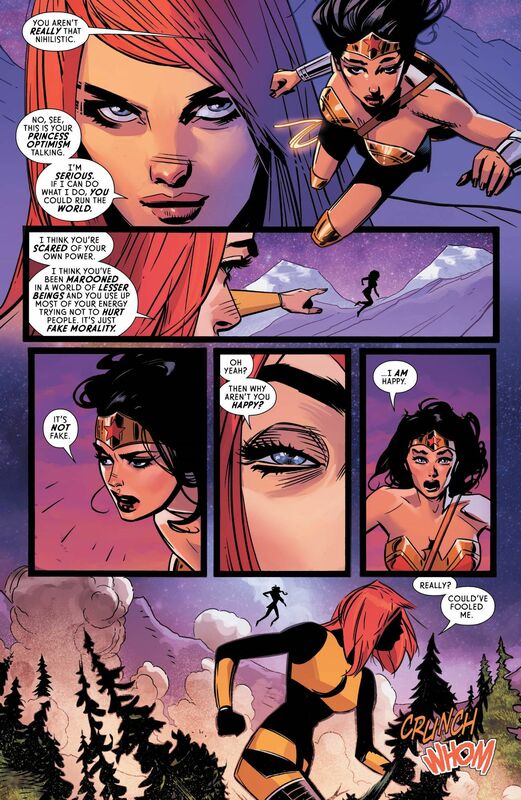 Since the beginning of writer G. Willow Wilson's run on Wonder Woman, the narrative has been split: between Diana struggling to make sense of the fall of the gods, and a collection of magical creatures trying to make their way in a human's world. But in the previous issue, it was the refugees who stumbled upon the real meat of the story. 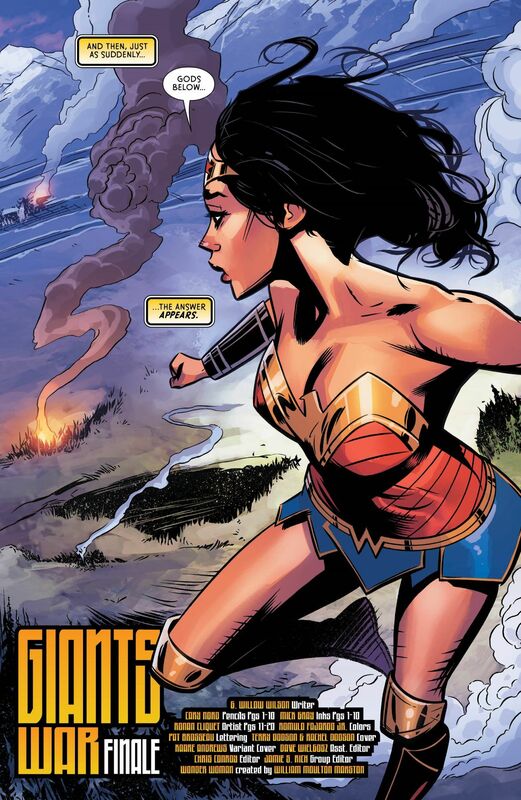 As Wonder Woman tries to talk sense into massive Titans violently patrolling a national park, the outcast creatures (and their human companion) have discovered what the Titans may be protecting. 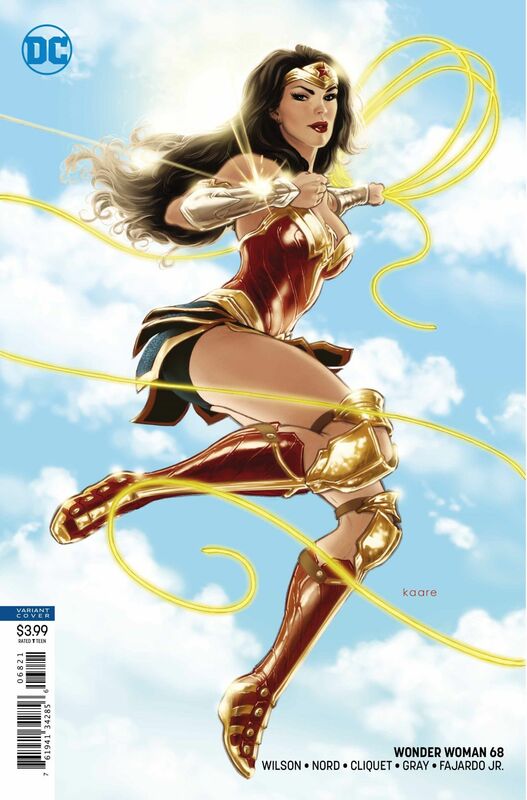 Wonder Woman #68 will be available from your local comic book store on April 10th, or direct from DC Comics.